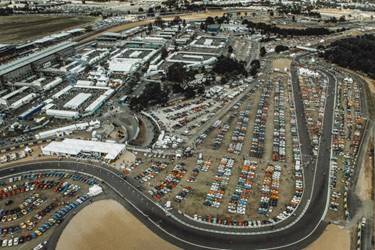 The exceptional event "LE MANS CLASSIC 2018" (episode 9) will be held on July 6, 7 and 8, 2018. It is the moment to gather around this inevitable event with an unprecedented structure. 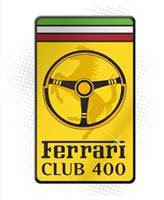 Indeed, we will welcome you under the tent of the EUROPEAN FERRARI 400 CLUB with the positioning of our cars all around on a dedicated space. Places being limited to 40 cars (only 365/400/412), do not wait to register. The price is fixed at 130 € per person for the General admission + Paddocks + Stand Tribune. The annual fee of 90 € to the club is mandatory. The Race tracks laps (Parade Clubs) at 180 € are unfortunately already full for Saturday, July 7th. The Peter Auto organization is however planning a new session and a waiting list is currently open. Options such as modern car parking, helicopter tours etc. are available on the Peter Auto website www.lemansclassic.com. Please tell me the number of places you want to book before February 28th..
For all information and registrations, I remain available at 00 33 6 07 78 98 76 or by email pl.ponomareff@orange.fr.